Where did I get it? I picked it up in a charity shop a few years ago and rediscovered it in the big book clear out. What's it about? Ruby and Garnet are identical twins. They live with their dad and grandma after the death of their mum. They're ten. Dad starts to see a woman called Rose and he and the twins move with her to a small village where Dad opens a bookshop. The twins write everything down in their book of accounts, taking it in turns to do so. Ruby is more outgoing and outspoken, Garnet is quieter and goes along with what Ruby wants. 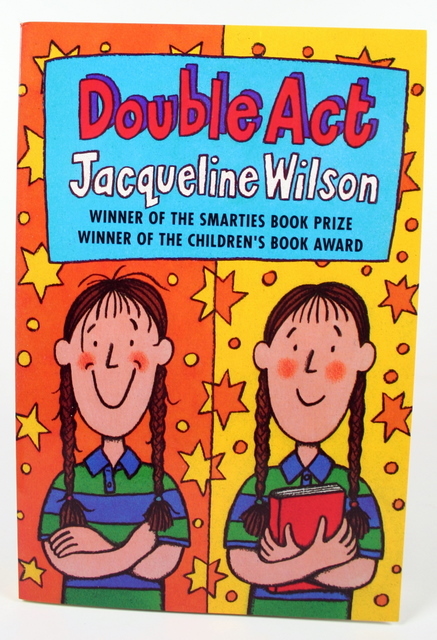 I have to confess that I never read much Jacqueline Wilson when I was younger. I'm not sure why, because you'd think it would have been my kind of thing, but she bypassed me. 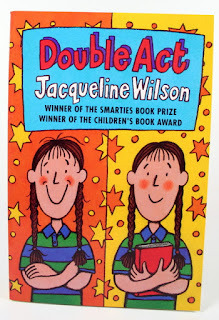 I read Tracy Beaker and Dustbin Baby a few years ago, and I'm reading her stuff when I can. What age range is it for? 9+, it's middle grade. How many stars? Six out of ten. It's not the most exciting, but it's a cute enough book. Where is the book going now? The charity shop, probably!